Brandon Partners is a global training firm that cultivates the cutting edge leadership development workplace competencies of Organizational and Political Savvy, and strengthens the classic business competency of Interpersonal Savvy. 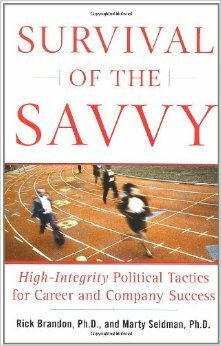 Since so few proven programs constructively address organizational politics and positive power, we made high-integrity political savvy our core business. Brandon Partners is the preeminent thought leader on transforming organizational politics from a taboo topic to an ethical and motivating channel for strategic influence and leadership effectiveness. Our history is rooted in ethical political savvy, but we also offer Straight Talk and other courses to shape interpersonal skills into a competitive advantage that drives results and accountability.